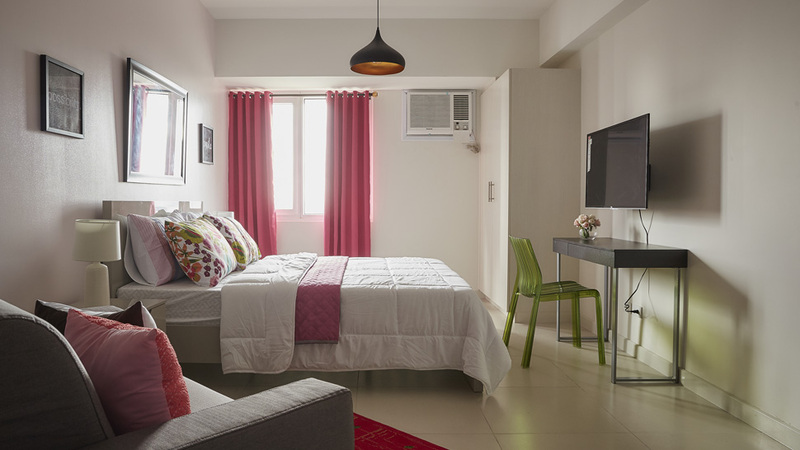 Everything screams “girly!” in homeowner Trixie’s 30sqm studio unit. It’s not exactly her personality, but she likes giving her potential renters options. This is among several units she purchased as investment, renting it out for the meantime until she decides to make it her own home. Trixie couldn’t have made a better choice for a design consultant. Grace Moslares of Magara Designs lives in a colorful and eclectic home in Antipolo, and is known for her vibrant makeover projects for Real Living.